Please find the appropriate permission slips here for Encounter Experiences and other events. All Encounter Experience permission slips should be turned into Brian Mase at the parish office. 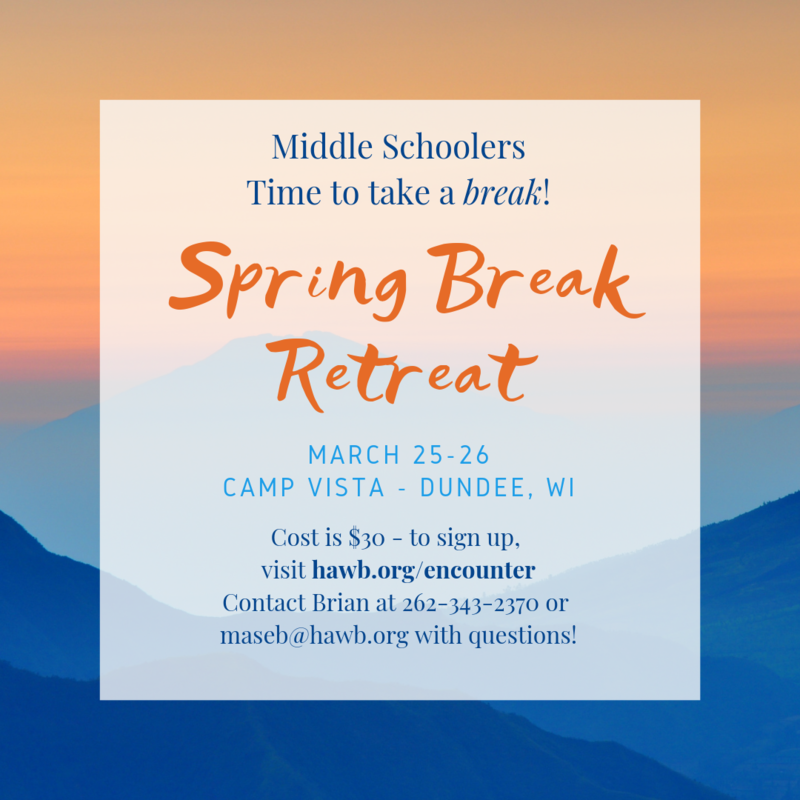 Contact Brian at maseb@hawb.org or 262-343-2370 with any questions. Come start your Spring Break out with a bit of relaxation, some time to spend with friends in faith sharing, and a little adventure too! We'll head to Camp Vista in Dundee for an overnight retreat on March 25-26. If you are interested in going, please complete the information on the form linked here: https://bit.ly/2NMx6ln. This retreat will be limited to the first 12 participants! There is a cost of $30 for the retreat; please include that with the signed and completed permission slip AND the Camp Vista waivers both found below. These can be turned into the Parish Office. High schoolers... we need your help to deliver the donated hygiene items we've collected for St. Ben's through the Capuchin Community Services Hygiene Drive! 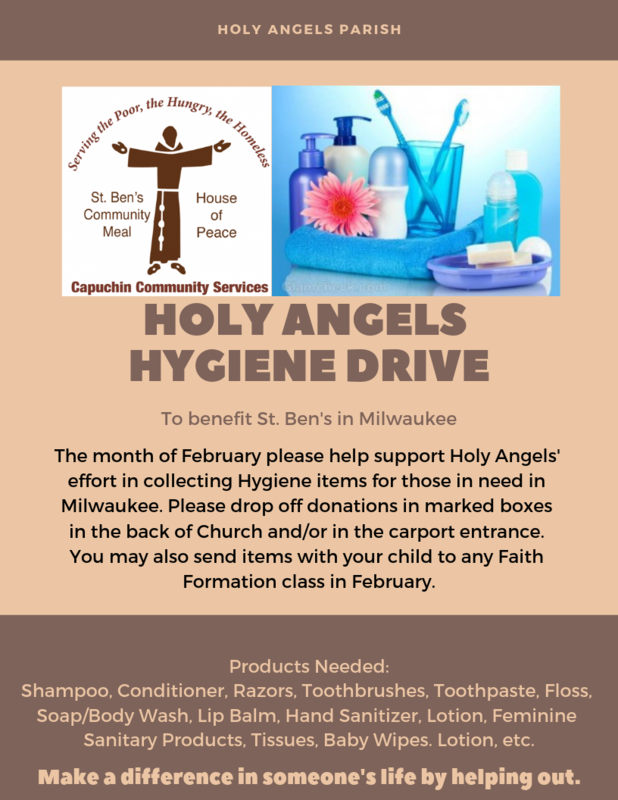 We will travel to St. Ben's in Milwaukee on Sunday, March 31st to drop off what we've collected as well as serve dinner to the guests that visit that evening. For this trip, space is limited to the first 15 participants; please complete the permission slip below and turn it in to Brian at the parish office to claim your spot. ​Contact Brian at maseb@hawb.org or 262.343.2370 with questions.